Poll: What Was the Best PS4 Game at Gamescom 2018? As yet another annual gaming event comes to a close, it's once again time to reflect and pick out our Game of the Show. Gamescom may not be the 'European E3' that it once was, but we still got so many new trailers and gameplay videos from this year's show. And so, it falls to you to decide Push Square's Gamescom 2018 Game of the Show. All you need to do is vote in our polls (the game with the most votes is our winner) and then tell us all about your choices in the comments section below. Polls close on Tuesday 28th August 2018. I feel like it's much harder to keep track of the news from Gamescom in comparison with E3 (although you guys at PushSquare did a sterling job of keeping us informed). Without a focal point like the conferences at E3, I suppose this will always be the case. 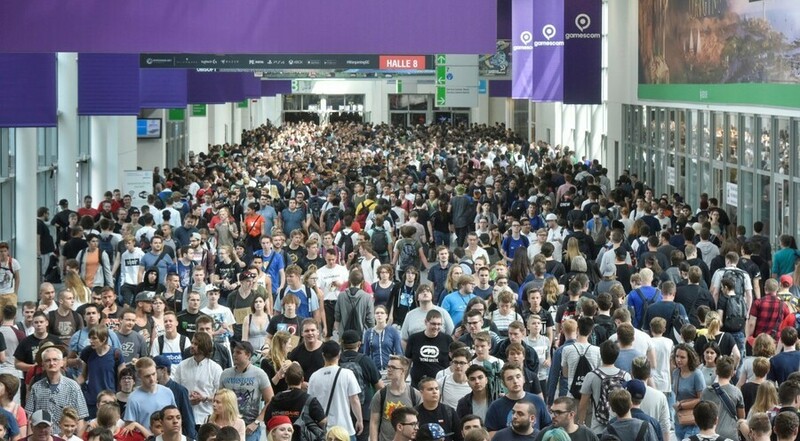 All the same, there has been a lot of fun articles and videos coming out of Gamescom and in general I have really enjoyed the content and news over this past week. @Lovespuds Thanks for the kind words, but yes, it's a very scattershot approach when it comes to Gamescom news. Like you say, with no conferences to rely on as focal points, every publisher just spews out whatever they like over the course of four days or so. It can definitely get a bit messy. It's not on the same level as the other shows but there's still been a few cool things coming out. So yeah, it's fine but not really something i look forward to each year, particularly. I voted for Ace Combat 7, DMC5, and Shenmue 3 (had to) — but special mentions for Sekiro, Spyro, Twin Mirror, Life Is Strange 2, The Sinking City, and Call of Cthulhu. Lots of good games yet again. EDIT: How could I forget The Dark Pictures Anthology? That should have been one of my votes. Devil May Cry 5 is my personal pick, but that is a pretty good list. I actually got to vote fro three things this time, yay. I haven't followed everything this year, but it seems to have been full of games once more with at least half a dozen really catching my attention. Resi 2 - it looks great and I love the way they're making use of the RE7 engine. Sekiro - currently addicted to (and quite close to finishing) Bloodborne so naturally I'm keeping an eye on what FromSoftware do next. This one's looking good. I like that they're changing up the formula again but it still looks very much in the same kind of mould. The Dark Pictures Anthology - I think like everyone that enjoyed Until Dawn, I'm super excited for a proper spiritual sequel and this seems exactly like that. I'm still a little concerned that they're gonna rush the production of it (like Hidden Agenda) but I definitely like what I see so far. Looking forward to Ace Combat 7 mostly for the new VR mode. Resident Evil 2, Spyro, and Man of Medan. None of the others really interested me. And what was the Project Mephisto game? I voted for Biomutant, Devil May Cry 5 and Sekiro, but I wanted to vote for Spider-Man too. The Dark Pictures Anthology is a must! And I'm sure DMC5 and Darkisiders 3 will be worth the wait. 'Call of Cthulhu', 'the Sinking City' and 'Desperados III' for me. So many games so little time 😂I love them! My favourite was that bag of human faeces at the Fortnite expo. That brought me more joy than most of the trailers.